In this fantastic video one sees the birth of Brazilian modern music. Bossa Nova, Rock, Jovem Guarda, traditional music, politicised music, tropicalia are all present on stage in all their freshness. The tension between tradition and the new music brought by the new comers Gilberto Gil and Caetano Veloso presenting themselves with pop visuals and references to rock culminates into a rally against the electric guitar with the presence of Gilberto Gil and eminent journalists such as Sergio Cabral, gives an insight to a time when the Brazilian left associated that instrument to American Imperialism. There is also Roberto Carlos, the best-selling Brazilian artist of that generation who headed the Jovem Guarda movement, a Brazilian interpretation of Rock and Roll, singing samba, a rarity in itself. The participation of the audience is also revealing, it shows the importance that those festivals had and the hopes that the youth put into music as a way to propagate ideas, and indeed democracy and resistance to the dictatorship. It also shows the birth of the Brazilian modern music industry in line with the creeping American influence; the organizers of the event talk about the business side of things and one can see that the artists went along with it. They knew about the marketing potential of those festivals, and were more worried about their careers than any student in the audience could imagine. There is also an absence of working class people, which gives another insight to a world where the poor were regarded as secondary players and were patronized as the “mass” who the youth were ready to lead into a better world. 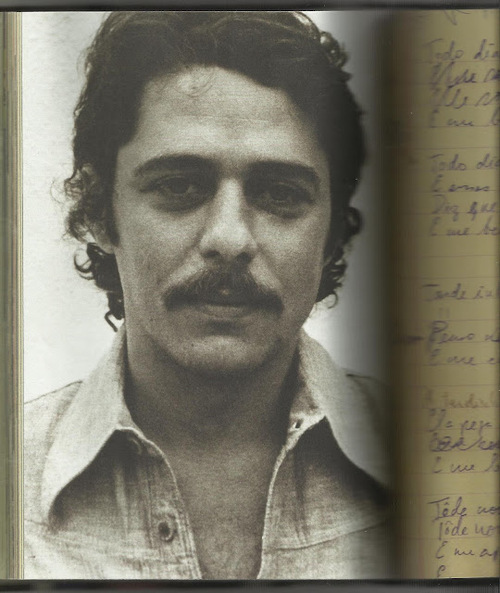 There is also Chico Buarque, the darling of the left who, because he was not so aligned with Gil and Caetano’s radicalism, was to remain out of the “cool” club. The winner was Edu Lobo would end up not being too expressive in the Brazilian musical constellation. Finally one sees the courage, and perhaps opportunism, of Caetano Veloso and Gilberto Gil to introduce radically new forms of music to a hostile crowd, and their winning them over due the sheer quality of the music. They are the ones who most took advantage of the festivals. The two songs that they presented, Domingo no Parque, and Sem Lenco e Sem Documento launched their careers as stars and put non-traditional music on the Brazilian map. This was a night that set landmarks and its repercussions are still felt to this very day. There is more about it in Lost Samba, the book this blog promotes. Chico Buarque is a unanimity in Brazil: everyone in every generation, social class, or city will agree that he is good. If his work were in English he’d certainly be together with Bob Dylan and John Lennon in the world pantheon of song writers. He is a unique musical artist. Coming from one of the best families in Brazil – his father Aurelio wrote the equivalent of the Brazilian Portuguese Thesaurus dictionary – he is from the generation that came right after the Bossa Nova founders, Joao Gilberto and Tom Jobim. In their view, the pleasant country that they grew up in had only one problem: social inequality. His songs have therefore always been politically engaged and he has been the hero of the Brazilian left ever since the sixties. When the military coup tightened in 1968, they didn’t know what to do with such a popular and talented figure coming from such an influential family. They resorted to exiling him and when they allowed him back they managed to continue to keep him quiet by censoring anything he wrote. He responded with two tactics: using a pseudonym: Julinho da Adelaide and writing songs about the female point of view of the world. When compared to his peers, more specifically to Gilberto Gil and to Caetano Veloso, was never a “tropicalista” and therefore he never sold out; he never bothered with fashions, never needed a change in style to sell, and never left his beliefs in the urgency of social reform. In parallel to this coherence, what has always made him stand out has been the amazing quality of his lyrics and the great partnerships he struck with top musical talents. Although he can’t be classified as a Sambista because of the complexity of his songs, he has been consistent in never going too far from Brazil musically speaking. Although understanding the lyrics is essential to appreciate Chico we highly recommend anyone interested in Brazilian music to get hold of whatever they can.